Windows 2000, also referred to as Win2K, is a preemptive, interruptible, graphical and business oriented OS. It is a part of the Microsoft Windows NT line of operating systems and it was released on the 17th of February, 2000. It has been succeeded by Windows XP in October 2001, and it is a hybrid kernel operating system. Windows 2000 had four editions: Professional, Server, Advanced Server and Datacenter Server. Beside this editions, Microsoft marketed Windows 2000 Advanced Server Limited Edition and Windows 2000 Datacenter Server Limited Edition, which were launched in 2001 and run on 64 bit Intel Itanium microprocessors. Although each edition was targeted at a different market segment, they shared a core set of features, such as many system utilities like Microsoft Management Console and standard system administration applications. Also, support for people with disabilities was improved over Windows NT 4.0 by a number of assistant technologies, while support for different languages and locale information was increased. 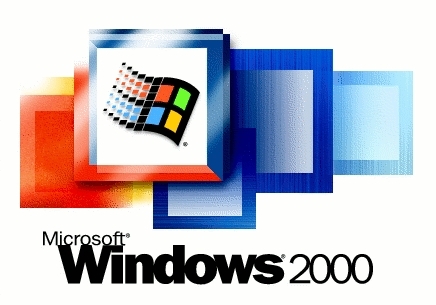 Microsoft advertised Windows 2000 as the most secure Windows version ever, but reality proved to be different when Windows 2000 became the target of many high-profile virus attacks such as Code Red or Nimda. More than eight years after it's release, it continues to receive patches for security vulnerabilities nearly every month. This is why a number of potential security issues have been noted in Windows 2000. One of the common user complaints was that "by default, Windows 2000 installations contain numerous potential security problems. Many unneeded services are installed and enabled, and there is no active local security policy". Besides insecure defaults, according to the SANS Institute, Windows 2000 was a common subject to exploitable buffer overflow vulnerabilities. A buffer overflow is an anomalous condition where a process attempts to store data beyond the boundaries of a fixed-length buffer. The result is that the extra data overwrites adjacent memory locations. Other criticized faults include the use of vulnerable encryption techniques. The world learned about computer worms for the first time when Windows 2000 was the dominant server operating system. Code Red and Code Red II were famous and infamously discussed worms that took advantage of the vulnerabilities of the Windows Indexing Service of Windows 2000's Internet Information Services. Things came to a peek in August 2003, when two major worms called Sobig and Blaster began to attack millions of Microsoft Windows computers, resulting in the largest downtime and clean-up cost to that date. Also, the 2005 Zotob worm was guilty of security compromises on Windows 2000 machines from the U.S. Department of Homeland Security, the New York Times Company, and the television posts ABC and CNN.